Being raised in Saskatchewan and the Yukon Territories, Meghan has been influenced by native culture throughout her life. She is touched by raw art, there is something extraordinarily deep, thoughtful and expressive in the delivery of old art forms. Because she was quite ill as a baby, Meghan was delayed in her learning and became a contented child watching life around her. Trying to understand the natural order of her life, she was told not to expect what other people did but find her own parameters, that there was much more to her picture than the different scenes being played out in front of her. Meghan is introspective and open to beauty as well as the complexity and systems of nature. Her journey has been filled with unique twists and turns and a lot of bumps. Art has been her peace, helping her receive foresight when she needed it and her inspiration. Her masks are about life journeys, emotions and dreams. a mask of eternal hope. are also very symbolic to my art. symbolism with a modern interpretation. of the importance of preserving our river system. 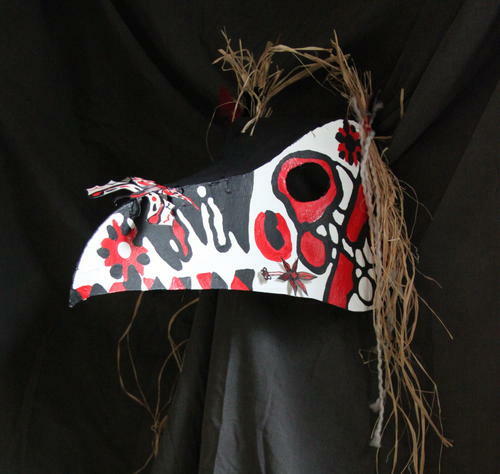 Students create a 3-dimentional Raven Mask using their imagination, creativity, and dexterity. They will explore design, transfer and symmetry using traditional symbolism with a modern interpretation. â��The Spirit of Meâ�� was created to heighten youth's awareness, enrich their thinking and purpose as well as teaching them to have higher standards for themselves.Â There are three purposes for the entire process of the program: to nourish the mind with positive thoughts and empowerment,Â to challenge their own creative expectations and motivate them to excel while offering opportunities to find their own strengths, and teach them to learn about their character through self discovery and focus. Each mask created becomes the student's story and their power of expression thus achieving self awareness, perspective and a greater sense of pride. 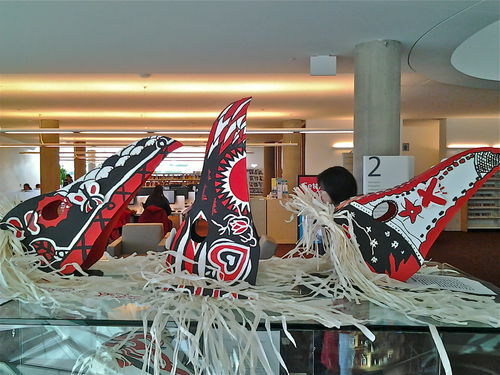 Besides the mask the students will design three butterfly goals to be put on their mask after it's finished and two promise feathers as part of the headdress. Â Besides creating their mask, each student is required to write an artist statement of their journey. Subjects this class can be used in: Visual Arts, Health& Career, Mathematics (shapes and patterns), Language Arts as well as Social Studies.